President Vladimir Putin has promised state and financial support to Yekaterinburg if it’s chosen to host an international exhibition World Expo in 2020. Preliminary estimates show the event could cost Russia up to $30bn. “If you make a decision to hold the Expo-2020 in Yekaterinburg we guarantee additional support for the development of the infrastructure in the city,” Vladimir Putin said at a meeting with a group of senior officials from the International Bureau of Expositions, the BIE. Road infrastructure and the city airport will be top targets for state allocations, the President said. Russian business will gladly join the project, he added, and can offer its assistance with the construction of hotels, if it need be, Putin added. The President believes “a good place, 500 hectares between the city and the airport” has been chosen in Yekaterinburg. “It's a convenient and vacant place. Exhibition pavilions are already being built there, and some pavilions are already working," he said. By most conservative estimates the World Expo-2020 could cost Russia $30 billion for the construction works and further financing of the event. Creation of the Expo Park alone will cost almost half of the estimated sum, chief architect of the city Mikhail Vyatkin told Itar-Tass news agency earlier on Wednesday before the presentation of the potential Expo site to the BIE delegation. The Park will be located in “one of the best places in the city” - on the southern shore of the largest and most picturesque pond in Yekaterinburg, Verkh-Isetsky Pond. “Its advantage is that it is located only three kilometers from the city center and will make it possible to use existing road junctions. The convenient location will allow the residents and guests of the city to get to the venue of the Expo by different transport means,” Vyatkin said. The Park will be capable of hosting about 176 thousand people daily with “a comfortable environment that would meet all the needs of the exhibitors and visitors,” chief architect added. 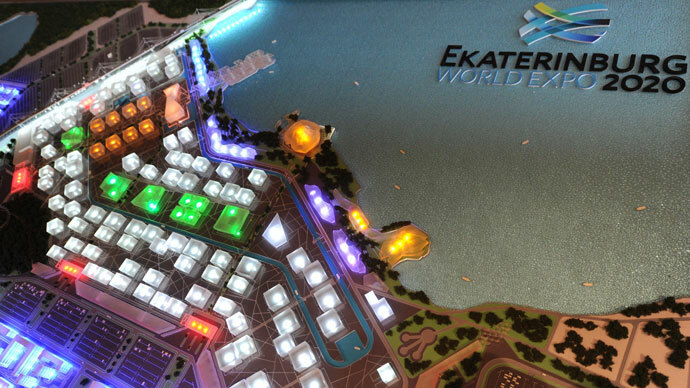 The Expo Park is planned to include the Expo Village and the Expo City to accommodate members and guests of the exhibition. After the Expo-2020 is over, the complex can be turned into a residential neighborhood for more than 70 thousand people. Cultural and shopping centers are also planned to be fitted in the zone. 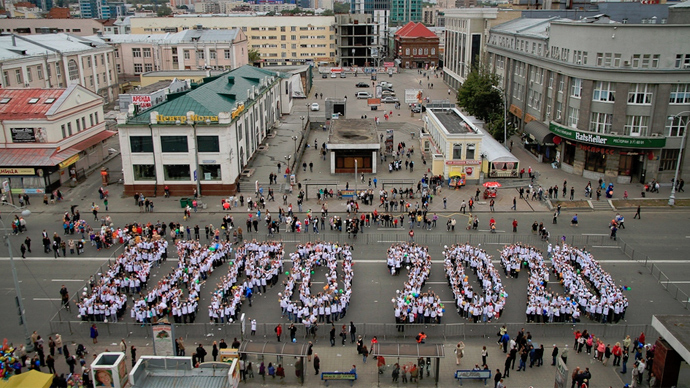 The unofficial capital of Russia’s Urals, Yekaterinburg is among five contenders bidding for the right to host World Expo-2020, along with Izmir in Turkey, Ayutthaya in Thailand, Dubai in the United Arab Emirates and Sao Paolo in Brazil. The winner will be named in November at the BIE General Assembly in Paris. The World Expo events have been held since 1851 and are considered the world's largest along with the Olympic Games and the FIFA World Cup. World Expo is held every five years and lasts for six months.